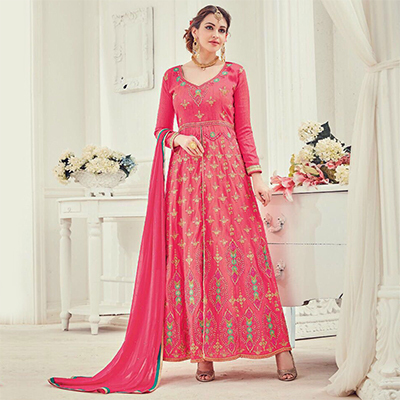 Dress yourself in this pink floor length anarkali suit and show off your ethnic looks. 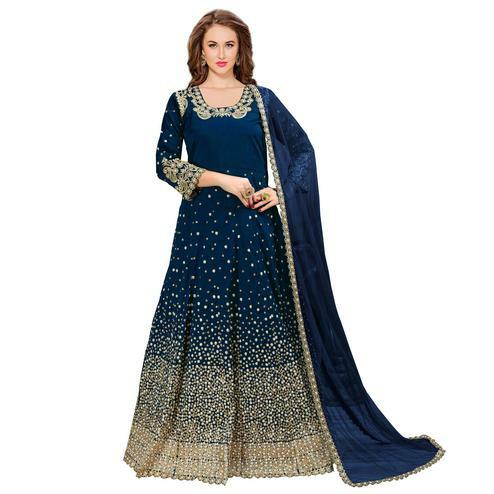 This semi stitched anarkali suit has pure silk fabric kameez highlighted all over embroidery enhanced with stone and lace border work at hemline and sleeves cuff. Available with matching color santoon bottom and including pink chiffon dupatta worked with lace border. It's an ideal outfit to upgrade your wardrobe for special occasions like wedding receptions and engagement ceremonies. Pair it with traditional accessories to make your look more beautiful.